Posted on August 23, 2016 August 25, 2016 by Mark R.
On Saturday, The Evesploratory Society [ESOCI] brought an Astrahus-class citadel online in Jakanerva. Designated the EVE Travel Rest Stop in honor of Mark726’s famous blog EVE Travel, the installation is a waystation for use by all explorers and travelers in the area. The opening of this citadel marks the second installation in a planned handful of explorer waystations arrayed around K-space in areas significant to the exploration community. The concept for explorer waystations spawned from my main character’s experiences in Signal Cartel. I’ve had the pleasure of flying with Signal since shortly after it was founded. I was a brand new player enamored with Eve’s environment and, fortunately for me, there was a nascent corp looking to create a community for players with a similar perspective. One year and six months later, I can’t imagine a better in-game home or in-game family for me. However, given the often solitary and isolating nature of exploration, my Signal family can be one that I don’t have an opportunity to physically interact with all that much. While it’s nice to go solo some relic sites or “backpack” for days on end through wormhole chains while chatting in our very active Eve-Scout Alliance channel, having the opportunity to physically interact with corpmates in-space is something that I find extremely satisfying and invaluable for my development as a player. The enthusiasm around our corp’s PvE fleet ops and group hacking/scanning roams anecdotally serves to reinforce the sense that this sentiment isn’t isolated to me. With the release of the Citadel expansion, there was an opportunity to express and cultivate that camaraderie through a physical gathering place. Taking a cue from the real-life Explorers Club in New York City, I used an Industrial/Mining/PI alt (Eris Vulpine) to start a corp and make preparations to online a citadel. The ‘gathering place’ took the form of an Astrahus-class Citadel in Mista. This 0.5 security system is located along one of the travel routes to/from Providence and could be considered ‘a last high-sec refuge’ before making the jump into the low-sec/null-sec frontiers. It is also just five quick jumps from the trade hub in Amarr and possesses an abundance of natural resources in the form of asteroid belts and planets. That last factor (i.e. the natural resources factor) relates to ESOCI’s broad interpretation of exploration. I wanted to probe a working hypothesis that the explorer mindset in Eve manifests in several activities beyond just the scanning/hacking/PvE most associated with Eve’s explorers. My hunch was (and remains) that many explorers also find exploration outlets in expeditionary mining, industrial manufacturing, blueprint research, etc. I also had a hunch that those activities were often labors of love or special projects intended to enhance their primary exploration aims more than they were dedicated revenue streams or pursuits. In other words, these activities were casual among those with a primary focus on exploration, but were nonetheless pursuits which they found fulfilling. This suspicion was reinforced by the fact that I have anecodotal evidence that suggests that many of my Signal corpmates possess mining/industrial/PI alts for these very reasons. If this hypothesis is correct, then The Explorers Club has an opportunity to become more than just a gathering place. It can be an hub that independent explorers and exploration-centric corporations can use to engage in their casual industrial/mining/PI activities using free facilities. Access to these services was (and remains) restricted to “Members” of The Explorers Club. I had considered opening The Explorers Club to all travelers in the area, but decided not to. My rationale stems from the fact that I want the facilities to help explorers connect with one another and allow them to pursue their side-projects in a casual, moderate-intensity environment. With a Members system acting as gatekeeper, users can be reasonably sure that the players they interact with in and around the station share in the overall ‘exploration’ philosophy in its many forms. That type of social filtering will hopefully help ‘break the ice’ a little and encourage communication and collaboration. While many of the users to-date are, in some way, affiliated with Signal Cartel, I am optimistic that other explorers and exploration groups will come to use these facilities and that there will be positive engagement between players who otherwise may not have the opportunity to communicate. With the facilities online, I spread the word among Signal Cartel and a handful of other Friends of the Society and I waited. Since opening on August 3, the citadel has seen a fair amount of activity. Three corporations have established offices inside and the services appear to be getting a fair amount of use based on ESOCI’s transaction record. The free clone bay appears to be a particularly popular feature at the moment with users taking advantage of the fact that there are no jump clone timers when jumping between clones stored in citadels. Anecdotal evidence also suggests that the citadel is becoming a hub for organizing item exchange and courier contracts as well as all-around facilitating the movement of goods and supplies to/from the Amarr trade hub. EVE Travel Rest Stop grand opening. In Jakanerva, there is a landmark entitled, In Honor of Intrepid Explorer Marcus Yeon. A monument to Eve’s exploration community, the site includes an “explorer relief post.” Extensions of that overall ‘relief post’ concept are found in additional static sites scattered throughout The Cluster with minimal opportunity for player interaction beyond visual interpretation. Examples include Pioneer’s Sanctuary (Tenal) and Settler’s Waystation (Sakkikainen). Albeit fascinating, these sites do not represent usable assets for explorers or other players that encounter them. The surrounding lore and general significance has little realized value. It stops at spectacle. The ability of players to now construct citadels creates an opportunity for these established landmarks to become integrated into actual gameplay. The effort it took to create these landmarks and the lore surrounding them can subsequently attain a more tangible measure of significance. To that end, I wanted to deploy a second Explorers Club style citadel near an exploration-specific landmark. I concurrently thought of Mark726’s outstanding work bringing Eve’s numerous landmarks and sites front-and-center and how that has inspired countless explorers within the game. It seemed only fitting that the second citadel, a structure that would hopefully help better connect otherwise “background” sites with more interactive parts of the game, be named in honor of Mark726 and his work. The EVE Travel Rest Stop was officially opened at a ribbon cutting ceremony on Saturday and is currently operational in Jakanerva. The citadel sits a few kilometers off the landmark site. It’s close enough to be connected, spatially, to the landmark without compromising the site’s immediate landscape. Anyone warping to visit the site will see both the monument and the EVE Travel Rest Stop on their overview. The ‘explorer relief post’ concept illustrated by the site’s static structures is a now a tangible reality. The visitor can dock, rest, and prepare for whatever phase of their journey is next. As with the station in Mista, visitors who are Members of The Explorers Club in Mista enjoy all services at the citadel free of charge. 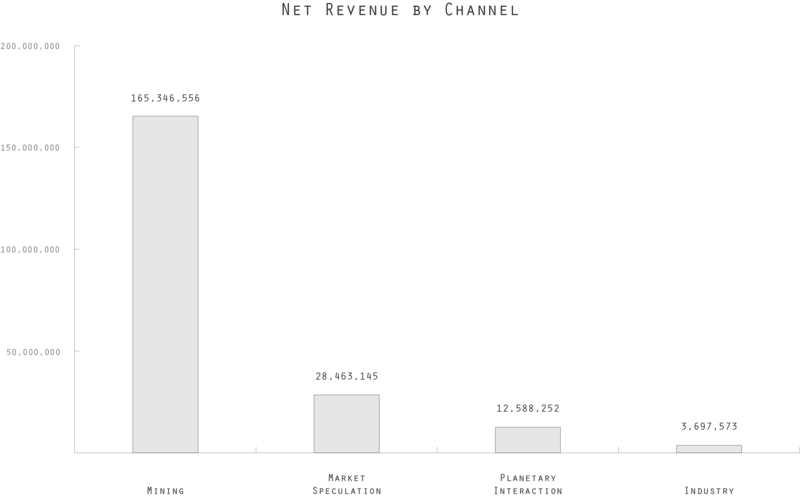 That brings the total base cost to around 1,564,000,000 ISK in structural components. 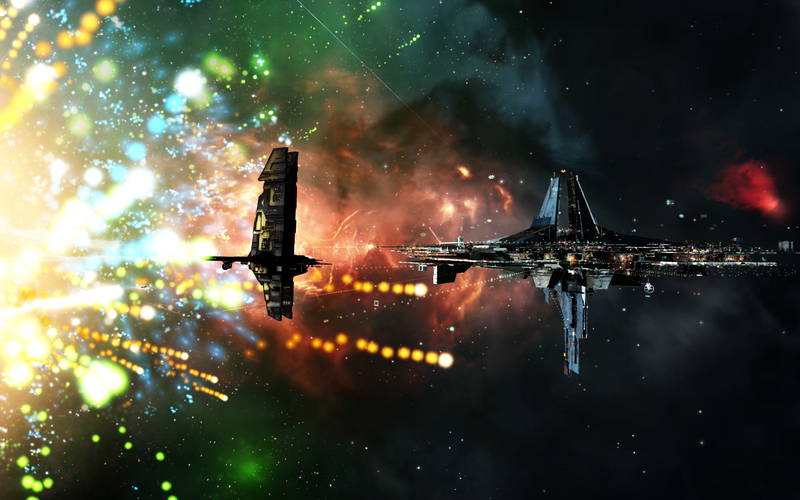 Costs subsequently increase when you consider adding various rigs and combat modules to the citadel. For instance, I elected to add rigs which boost the reprocessing efficiency of my citadel when reprocessing HS/LS/NS ore. Combat fittings are being added on a rolling basis. Aside from the base cost of the citadel, the services modules (e.g. Standup Cloning Center I and Standup Reprocessing Facility I) require fuel blocks (Hydrogen, Helium, Nitrogen, or Oxygen) to operate. 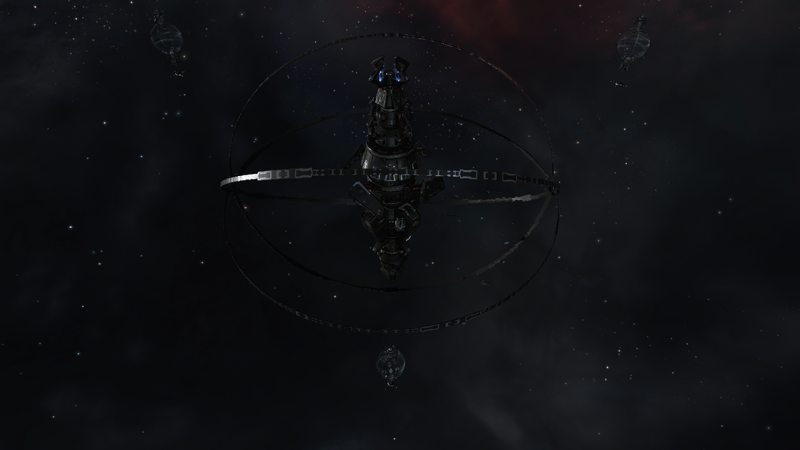 The cost of these blocks presently hovers around 22,000 ISK per block. Estimated fuel block quantities and associated costs for each module are outlined below. Factoring-in the bonus 25% reduction in consumption inherent to the Citadel, the the total amount of blocks required = (720 initial fuel blocks + (10 blocks/hour * 8760 hours/common year)) * 0.75 = 540 initial fuel blocks + 65,700 fuel blocks for normal operation = 66,240 fuel blocks per year. At an estimated average cost of 22,000 ISK per block, I’m looking at somewhere around 1.46 billion ISK per year to operate this module. That means that, to keep the module active for a year, we will need: 360 initial fuel blocks + (5 blocks/hour * 8760 hours/common year) = 44,160. At the estimated average cost of 22,00 ISK per fuel block, I expect to spend approximately 972 million ISK to keep this module online for a year. 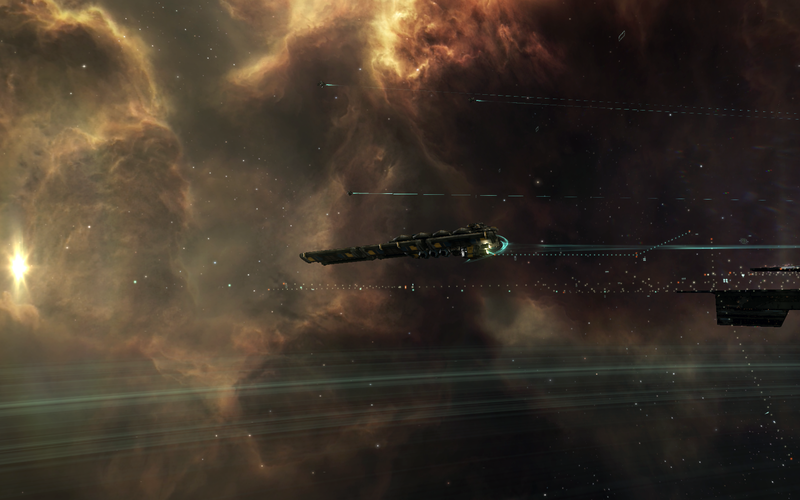 Putting it all together: Total estimated annual cost of operation per citadel = 2.432 billion ISK. This project was never intended to be business. The very nature of the experiment dictates that the services are provided free of charge to Members. Even in the case of the EVE Travel Rest Stop in which some services like office rental are provided to the public at a nominal fee, the facilities aren’t expected to generate anything more than a marginal amount of ISK. Generous donations from players like Razorien and Cassandra Habalu went a long way to putting fuel blocks in the bays following the initial on-lining of The Explorers Club in Mista, but there has been little to no support after that. I honestly didn’t expect any donations to come-in and embarked on this project knowing that ESOCI would have to find a way to keep this enterprise operational on its own. I therefore focused nearly all of my Eris Vulpine character’s skills on Industry, Mining, and PI. The latter two pursuits have the most potential for profitability at my current skill levels. I provided a fair amount of seed funding to this corp and the waystation project from my financial reservoirs on my Markus Vulpine character. It was not a large amount by most Eve measures, but it was enough to pay for the citadels/modules, a full fleet of ORE vessels (including an Orca), a small fleet of Gallente Industrial craft, and the various costs associated with establishing PI near Mista. The corp assets were subsequently distributed in such a way that I could base out of The Explorers Club citadel; using it as a central hub for all operations. I then set to work. Three weeks after opening the citadel and beginning operations, mining has been the most profitable enterprise. Partnering with other corporations like Varian Enterprises in cooperative mining operations has helped me make the most of my mining time. The site ore.cerlestes.de has also been been invaluable when it comes to determining where I should focus my strip miners. It has consistently enabled me to catch unexpected fluctuations in the market, such as one occasion when Veldspar was transiently more valuable than Pyroxeres. Planetary Interaction (PI) products continue to be mildly profitable, but import/export taxes are certainly cutting into my profit and Eris’ skills currently preclude me expanding beyond what I have in operation. With a few weeks of training, I’m confident that profits will increase considerably. PI production, at the moment, is centered on some of the PI components of fuel blocks. My guess is that, with the rise of citadels, demand for fuel blocks will remain strong and, thus, the demand for the associated PI products will remain strong. Manufacturing products like coolant and oxygen has also enabled me to work on partnerships with corporations/individuals which have the capacity to produce fuel blocks with more efficiency that I could. I’m currently working with two players on an arrangement that will allow me to provide coolant and oxygen in exchange for a portion of the fuel blocks from their production lines that can be used to keep my citadels online. One player is effectively donating his services and the other player is, like me, in the market for fuel blocks for his own citadel project. Additional PI products in the form of the labor-intensive but profitable Cryoprotectant Solution comes from my main character, Markus Vulpine, who possesses high-level PI skills. Once Eris is fully skilled-up, then I’ll have two full PI operations established. It goes without saying that I would make more profit in WH space and that is certainly on the table. I’ve considered placing a citadel in a wormhole, but that would require a considerable investment and considerable manpower beyond what I currently have available. I’m going to keep things centralized and small for the time being while I get my bearings. I feel that is more important the risk of overextending myself and bringing this whole project down. Market speculation was surprisingly profitable this month and I plan to continue putting a portion of ESOCI’s funds into short term investment projects as a way to generate income. Eris has rudimentary Industrial skills so the razor-thin returns on my Industrial products were in-line with expectations. Frankly, I anticipated that I would lose money on Industry, so I was pleased to see any profit at all. My focus was on Mobile Depots. They have a low barrier to entry when it comes to manufacturing them and they seem to have a sustained market demand. I see them everywhere in The Cluster and figured that they would be a safe bet for my initial foray into Industry. By producing more volume and by transporting the wares to Thera, Null-Sec trading posts, etc., I could probably increase my revenue further. All in all, the total for these first few weeks was around 210 million ISK. It’s not bad, but it’s certainly not enough to run two citadels and have enough left over to expand operations. If I were to make 210 million per month for 12 months, I would have just enough to operate a The Explorers Club citadel. I’m optimistic, however, that I’ll be able to make up the shortcomings in the following months by improving and expanding my operations. Continue to solicit modest player donations from users. If you’d like to make an ISK donation to this project, all donations can be given to Eris Vulpine in-game. All proceeds go to supporting this project. Improve mining skills and upgrade equipment. Evaluate and test in situ feasibility and profitability associated with gas and ice mining via wormhole expeditions. Continue to use LS/NS ore as a reliable revenue stream in the interim. Increase PI skill levels to allow for more command centers and upgrades. Establish reliable supply chains with fuel-block corporate partners. Expand citadels’ infrastructure and defensive capabilities. Additionally, following the planned release in the Fall, I will be seriously considering placing an Industrial Array adjacent to The Explorers Club in Mista. The addition of that specialized structure will transform this space into a fully functional base of operations for both ESOCI and Members of The Explorers Club.